What are the problems that my audience is trying to solve? To effectively answer this question, you must be able to identify each of the key audiences for your website, which may be different customer and prospect titles, potential employees, investors and analysts. If you are at all murky on this, we recommend creating "audience personas," which are short documents, in which you personify your audience using demographics and psycho graphics. By doing this, you will then be able to craft specific messages, copy and offers that will resonate due to your superior understanding of your audience and what makes them tick. Do we address these problems in a unique way? While I've heard many business people say, "nobody quite does what we do," or "we don't really have any competition," I've encountered a paucity of those people able to define a clear competitive differentiator. 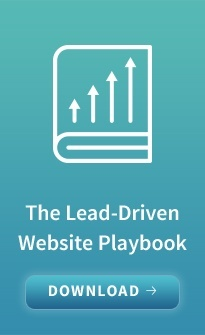 It's noisy on the web with competitors claiming they can do almost everything. In this climate, the more specific you are, the more believable. What is our value proposition and why should anyone care? A value proposition, also referred to as a Brand Positioning Statement is your key claim of competitive differentiation. It should state what you provide, for whom, why someone should care and how it differs from competitors solutions. This is the crux of a brand and of your website. A murky value proposition will lead to a confusing website with muddled content and a mediocre user experience. Generic language will be your fallback and your analytics may reveal a high bounce rate. Can we distill our value proposition into a mantra? Call it a mantra, or a tagline, but if you can distill your value and what you stand for in a simple phrase, it is much easier to build a confident and powerfully visual and memorable web experience and leverage it into event graphics, collateral and other uses. If we have multiple products and/or solutions, what is the corporate thread that ties them together? 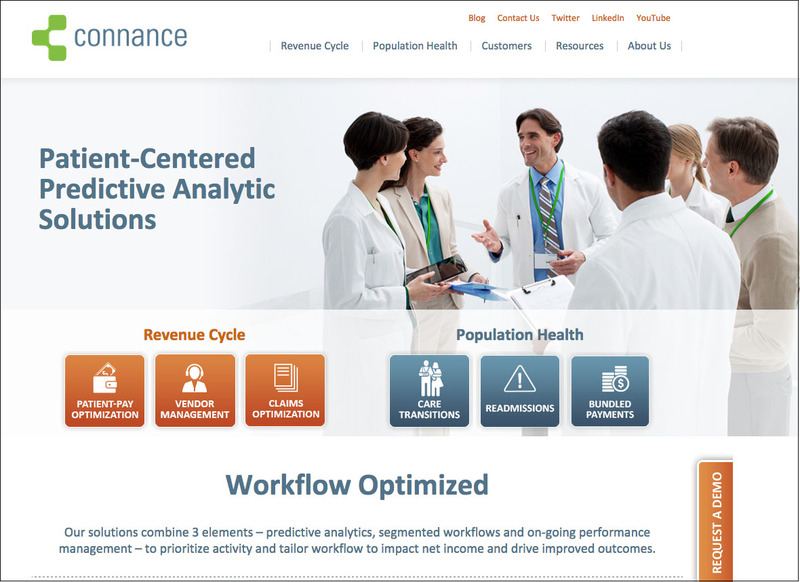 For our client, Connance, pictured above, although they have two distinct Solution areas targeted to different audiences, the unifying brand theme, that brings the website together, is "Patient Centered Predictive Analytic Solutions." We've seen many companies struggle with their brand messaging when they have multiple products and/or solutions that often serve different audiences. In these cases, we recommend focusing not on the differences, but the commonalities, as we did with Connance. Is it the problems that we solve, the culture of our company, our unique technology, or something else? Finding that unifying thread can be just the thing to connect the dots for visitors coming to your site. If this were easy, everyone's websites would be superlative, differentiated digital specimens. If you can satisfactorily and concisely answer these questions, then your website can be one of the few.